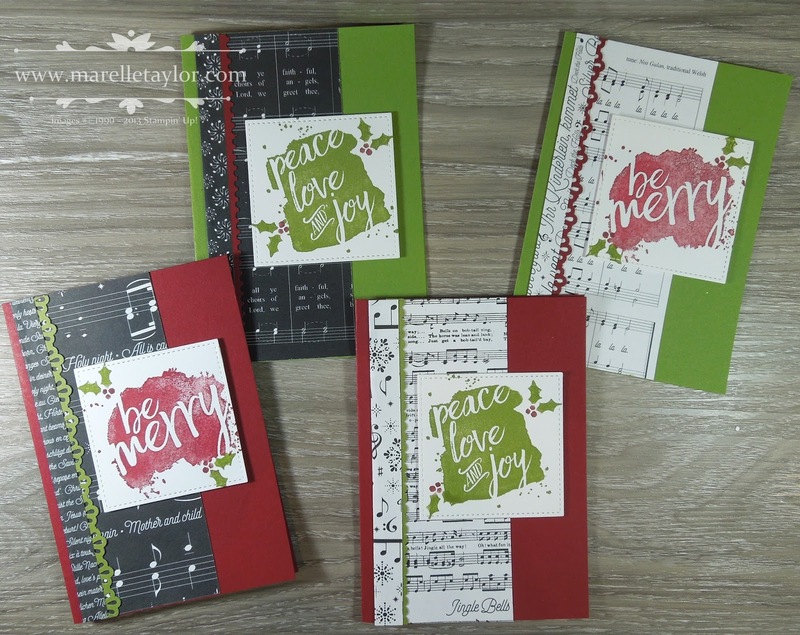 This is the second set of cards we are making in this week's Christmas card class. The Merry Music Designer Series Paper is so pretty. Here I've paired it with some deep, rich colours - Old Olive and Cherry Cobbler. It's always a shame to have to stick down one side of the paper, so here I've folded it over and tucked a decorative border under the folded edge. The Every Good Wish stamp set also adds a bold splash of colour, and a sentiment all in one. I've stamped it on some Stitched Squares. The stitched detail means that you can get away with matting it on another colour. Hopefully everyone will enjoy making these in class this week!